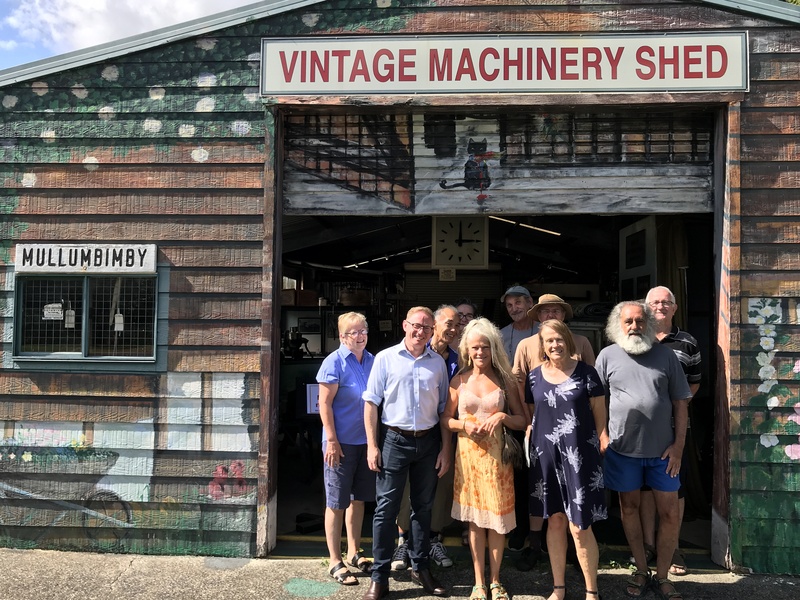 The Brunswick Valley Historical Society’s museum buildings in Mullumbimby will be refreshed with $59,075 in NSW Government funding announced today. Nationals Parliamentary Secretary for Northern NSW Ben Franklin joined with the volunteer members of the Historical Society to make the funding announcement. Mr Franklin said the Brunswick Valley Historical Society plays an important role in capturing and preserving the region’s history at the Mullumbimby Museum. “Our region is rich in local history, particularly our agricultural history. For many years the Brunswick Valley Historical Society has collected and preserved historical artefacts for our community and visitors to learn about and enjoy,” Mr Franklin said. The funding will go towards upgrading insulation, lighting and artwork in the machinery exhibition space and repainting the museum’s main building. Mr Franklin said the $59,075 funding will enable the Brunswick Valley Historical Society to continue their important role as historical custodians for the community. “The local volunteers do a fantastic job. I am proud to be able to deliver the much needed funds to support them, as they continue to preserve and show case our wonderful community,” Mr Franklin said. Funding is part of the NSW Government’s Stronger Country Communities Fund.